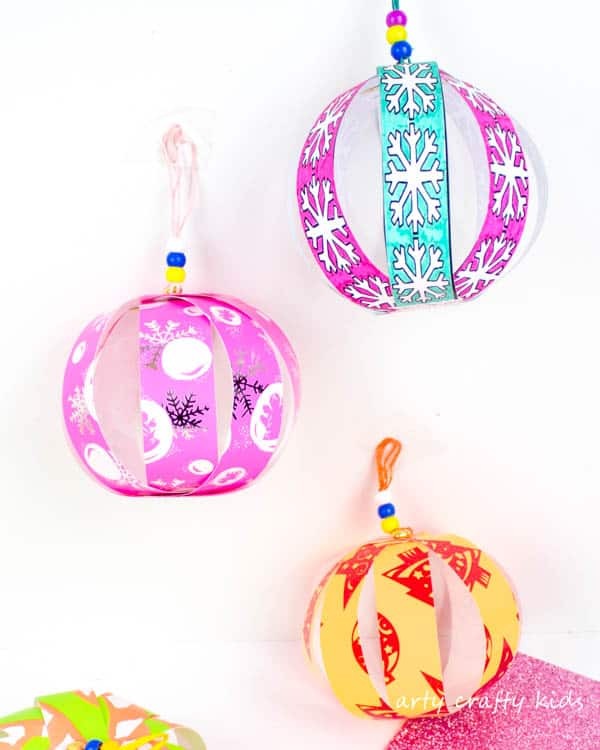 Homemade is best-made at Christmas time and with three festive designs to choose from, this colour and create Christmas Paper Bauble will add some individual gorgeousness to the Christmas Tree! 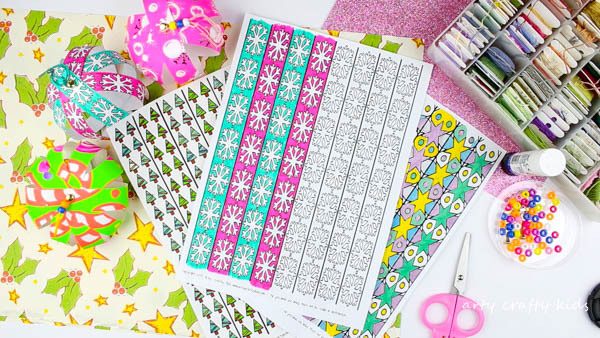 Each template creates two baubles and can also be paired with beautiful and bold coloured, sparkly or/and patterned paper. Add glitter or sequins for some extra bling. Ribbon and beads for some extra glam. 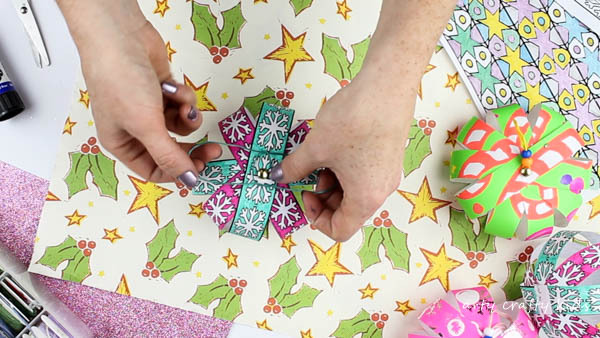 As well as easy, this Colour and Create Christmas Paper Bauble is wonderfully open-ended and can be enjoyed by adults and kids both big and small, making this a great family inclusive craft. Decorative Beads – Pony Beads are perfect for little hands! 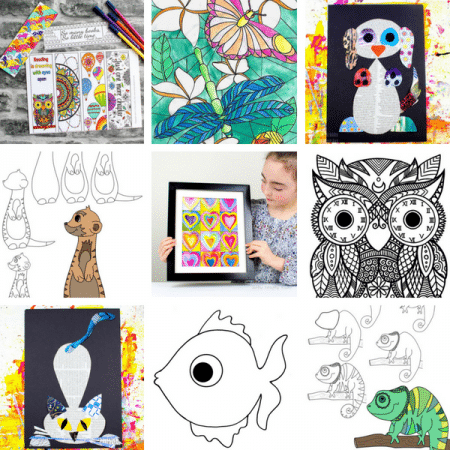 The bauble templates be accessed the Arty Crafty Kids club – Join to access our complete library of art and craft templates! Step 1: Download the templates. 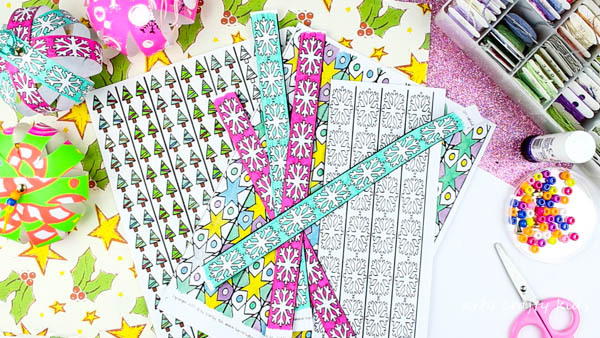 Step 2: For best results, use 4 strips of paper for each bauble. 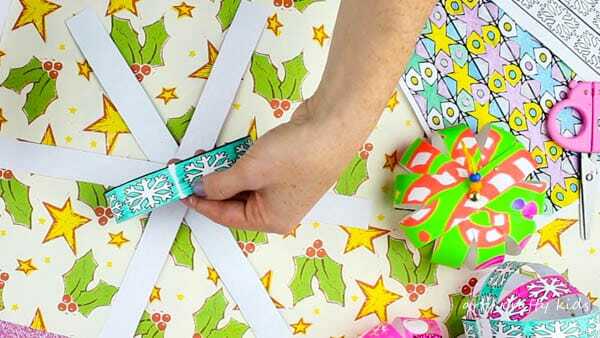 Level the cut up strips of paper and fold in half to create a central crease. This will be used as a marker for the next step! Step 3: Take a split pin and pierce it through each piece of paper via the crease made in Step 2. 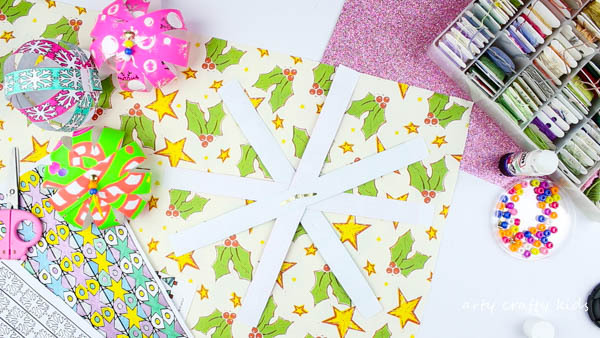 Spread the pieces of paper to form an even ‘snowflake shape’ as shown above. Step 4: Starting from the bottom of the pile, join the two ends of the paper strip. Step 5: Continue the process of adjoining the paper ends, layering the paper on top of the previous. TIP: A glue stick is perfect for this process. 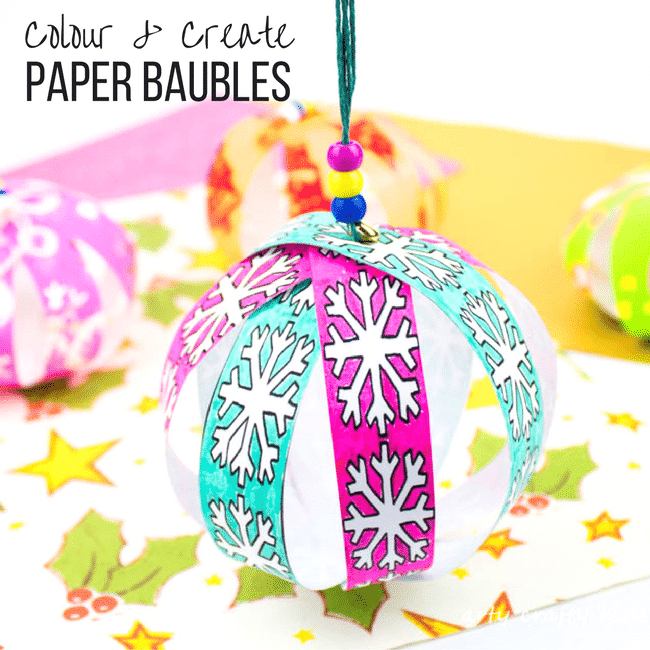 It will not leave the paper soggy or heavy and is plenty ‘sticky’ enough to hold the bauble together! Step 6: Secure a piece of thread to the head of the split pin and finish off with a few threaded beads! 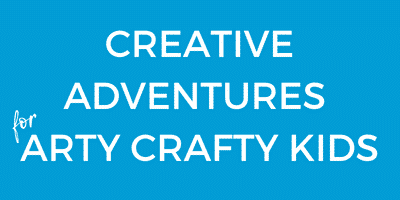 I hope you enjoy the Arty Crafty Kids Colour & Create experience!